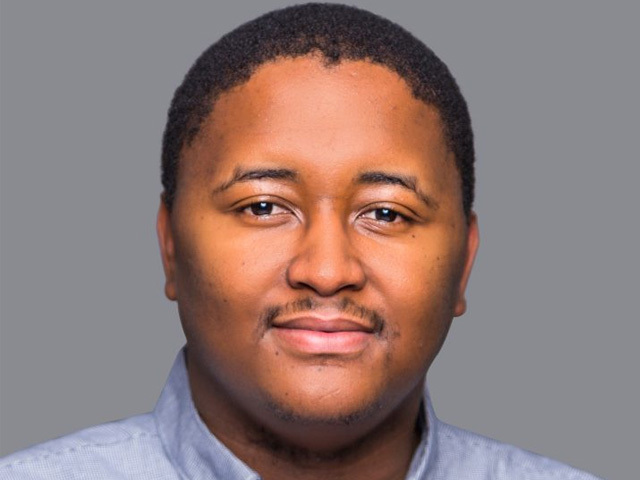 At the age of just 26, Joel Malesela Modiri has obtained a PhD in law and is a lecturer in the department of jurisprudence at the University of Pretoria. He has over 15 publications in academic journals under his name. He has edited books and delivered papers internationally and nationally. He serves on the Section 11 Equality Committee of the South African Human Rights Commission and was selected as an Inaugural Fellow for the Atlantic Fellowship for Racial Equity (housed at Columbia University, New York, and the Nelson Mandela Foundation) and is regularly voted by students as Best Lecturer. His doctoral thesis examined the philopraxis of Black Consciousness that Steve Biko articulated in his life and writings which represents a political philosophy of justice and a critical approach to law and jurisprudence. He teaches jurisprudence and legal philosophy at the University of Pretoria where he is among one of the first scholars to introduce critical race theory in the university. “My work has had to contend not only with the conceptual and demographic whiteness of the legal academy but also with conservative and liberal insistences on colour-blindness, race denialism and blatant racism,” he says. This underpins his desire to see the legal academy contemplate possibilities for liberation, decolonisation and historical justice in South Africa and beyond. Amid the challenges of introducing ideas of Black Consciousness in a legal academy that’s also steeped in a culture of whiteness, Modiri has also had to overcome the racism present in his day-to-day life. “Like all Black people, I regularly encounter racial condescension and have to deal with largely untransformed institutional spaces. Like all young people, the pressure to be the best or the first at something can weigh heavily on one’s self-esteem. Building community and collaborating with comrades and friends has been my way of making sure that both the habitual racism of South Africa and the unrealistic expectations of quick success do not become debilitating and demoralising,” he says. While in school, Modiri participated in debating and public speaking and took an interest in world history and politics. His dream of being a hotshot lawyer quickly gave way to his intellectual interests in legal and political theory where’s now excited to be teaching.